Strategizing your portfolio of real options for the win. What factors make your real options portfolio valuable? How do you analyze the nature of the interactions among real options and their effects on portfolio value? Ultimately, how can your firm be most strategic in managing this in your industry’s unique market? To begin, firms must consider growth and switching options in developing a portfolio of strategic options. Growth and switching options represent the trade-off between flexibility and commitment, according to the study, “Managing a Portfolio of Real Options” co-authored by Ohio State researcher Jaideep Anand and with researchers Raffaele Oriani in Italy and Roberto S. Vassolo in Argentina. While growth options relate to early commitment in growth opportunities, switching options give firms essential forms of flexibility to handle different sources of uncertainty. Too much commitment could create vulnerability; too little could hinder competitive advantages. So how do you determine the right balance for your unique market? Let’s consider the sources of uncertainty within growth opportunities and switching opportunities. Some sources generate growth opportunities while others might induce switching opportunities, according to the study. For example, when market demand is the main source of uncertainty, growth opportunities may dominate the strategic decision. These elements are applied to different strategic situations of technological and market uncertainty. Managers must consider what is unique about their portfolio and how they can incorporate that when assessing its value. They must first understand how market and technological uncertainty can have different effects on the value of switching and growth options. When the market has inconsistencies between demand and the need for new products, it affects the market size and ultimately, sales. In this case, growth options could limit firms’ losses to their initial investments. However, potential gains from future growth opportunities are unlimited. When the market has technological uncertainty, firms must choose the “right” technology. Here firms can apply switching options that allow them to hedge against the risk of being locked out of the market because they have not invested in the right technology. Based on your industry’s unique market and focusing on the opportunities available, these are important considerations to keep in mind in a world of quickly advancing technologies and ever shifting markets. To dig deeper into this topic, view the original research and its translation here. Conversation surrounding governance and culture recently took center stage at The Ohio State University Fisher College of Business, as The Risk Institute explored the impacts of the two key aspects of business at its Annual Conference. The two-day conference brought together Risk Institute members, business leaders, experts and faculty thought leaders from Fisher for an in-depth examination of the risk management and strategic implications of governance and culture. Phil Renaud and Jeni Britton Bauer of Jeni’s Splendid Ice Creams discuss maintaining culture through crisis. Considering the various sides of governance and culture is critical to understanding how to leverage risk management to create value for an organization. The conference featured four keynote speakers, Gordon Bethune, former CEO of Continental Airlines; Cameron Mitchell, founder and CEO of Cameron Mitchell Restaurants; Randall Kroszner, former Governor of the Federal Reserve System; and David Gebler, author of best-selling book The 3 Power Values. Academic Director Isil Erel speaking at Annual Conference 2016. Named one of America’s top Thought Leaders in Trustworthy Business Behavior, Gebler is an innovator of new approaches that integrate culture, ethics, values and performance. His talk detailed how to know if your organization’s culture is a risk factor utilizing the three power values— integrity, transparency and commitment. 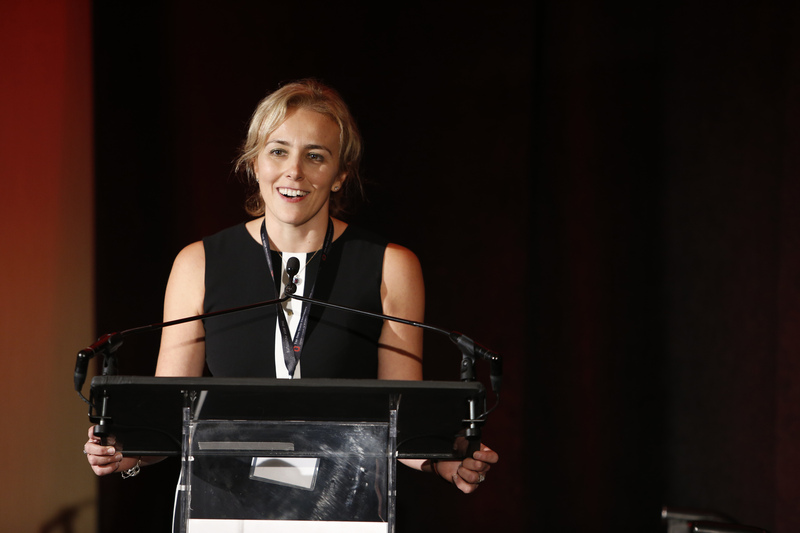 In addition to the keynotes, the third-annual conference brought together business leaders and experts for a series of RISKx presentations and panel discussions on women in risk, governance and culture related to business. The culture discussion explored employees’ attitudes toward risk, mergers and acquisitions, maintaining culture through crisis, and emerging risks in the energy industry. The Risk Institute’s Executive Education Series will resume November 15 with a discussion on Political Risk. It’s almost 2016 (or it is already, depending on when you’re reading this). Everything is digital, and so you took the plunge and developed a mobile app for your customers. The launch of your new mobile app was supposed to streamline and enhance the customer experience, but since it was released it seems as if your customers and your employees rue the day the app appeared. Is it possible that this app has actually been detrimental to your business? Have you found yourself thinking, why haven’t my customers and my employees embraced this new technology? From Apple to Zillow, digital disruption – the impact of new technologies on the existing consumer brand experience – challenges consumer business. 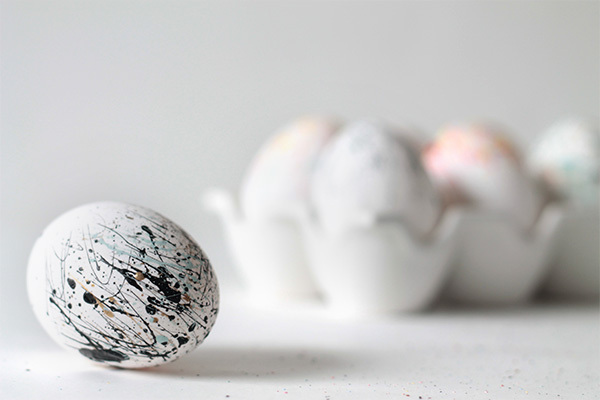 The first thought that comes to mind is that digital disruptions continue to raise consumer expectations about the brand and their online and in-store experiences. Yet, there is another side. One that is not often considered, but equally important: the digital expectations of the company’s employees. The employees who are charged with innovating the brand and enhancing customers’ brand experiences are also savvy digital users themselves with their own increasingly elevated digital expectations. Senior executives need to consider how digital disruptions also are influencing and modifying their employees’ behaviors and expectations. At our upcoming Risk Series, Digital Disruption: Brand, Strategy and Technology, taking place on January 21, 2016, our session leaders Deborah Mitchell, Clinical Professor of Marketing, with The Ohio State University Fisher College of Business, and Keith Strier, Principal, with EY Advisory Strategy and Practice and Founder of IDEAS (Innovation, Digital Enterprise & Agile Strategy) collaborate to discuss applications of current research on consumer behavior to digital engagement with customers and employees to understand your organization’s digital vulnerabilities and opportunities. I invite you to join us and other executives in this interactive session as we engage in conversations about the leading strategies to understand customers’ and employees’ digital experiences as well as discuss the current challenges firms face in today’s digital environment. You will gain insights into how you can develop an enterprisewide digital strategy aligned with your firm’s corporate strategy and brand vision. You will also be in the position of leveraging, and not just mitigating, digital disruptions with your employees and with your customers. In recent years, risk management has evolved into a more comprehensive and integrated practice. Risk management was once viewed as only being done to meet regulatory requirements and to protect the firm against the negative effects of volatility in their business environment. While those aspects remain leading catalysts for firms who increased risk management efforts over the last three years, a fraction of firms recognize risk management to be a source of growth. Over the same three-year period, senior executives and the board of directors have become more involved in risk management processes. This integrated approach leverages collaboration across an organization to identify and evaluate risks and to proactively manage those risks to achieve corporate objectives and enhance shareholder value. One of the primary goals for The Risk Institute at The Ohio State University Fisher College of Business is to create a greater understanding of how organizations can proactively leverage risk management to create value. Given the varied roles that risk management plays in different organizations, it is important to hear from senior executives from both financial and nonfinancial industries about how they view risk management’s role in their organization. It’s also critical to understand how executives, if at all, integrate risk management into business decisions as well as structure their risk management function to support its role in the firm. Organizations are increasingly impacted by risks that are more interconnected and ever changing. This means that the conversation about risk and risk management must continue to evolve and grow. It is with this goal in mind that The Risk Institute developed a comprehensive research initiative to survey senior risk management executives. The survey is designed to deepen the understanding of how U.S. companies structure their risk management practices. The annual Risk Management Survey is one example of how The Risk Institute and its founding partners are committed to moving this conversation forward. In this inaugural survey, we provide a snapshot of risk management practices among a large and diverse set of U.S. firms. As The Risk Institute unveils the findings from its inaugural 2014 Risk Institute Survey on Integrated Risk Management several things are clear. 1) In order for firms to transition to a more integrated risk management approach, which views risk management as a source of value enhancing opportunities, it is important to choose a leader of the risk management functions who embraces this view and who does not see risk management as merely a defensive strategy. Equally important is choosing a leader who can effectively collaborate with other C-suite executives to leverage risk to enhance shareholder value. Finally, the Board committee responsible for risk management also should share this view. 2) For firms wanting a more integrated risk management approach, it is important to include more business units/functions in the processes and not only rely on those functions related to finances and meeting mandated requirements. Aligning risk management with key organizational strategies will aid an organization to successfully develop a fully integrated risk management function that can leverage risk to achieve corporate objectives and enhance growth and shareholder value. 3) For firms to fully reap the benefits of an integrated approach, not only do they need to recognize a business process and analyze the risks of that process, they must also increase their efforts to have their analysis feeding back into the risk management of the firm itself. This “looping” process will allow firms to proactively manage the risks impacting their organizations and identify emerging risks to be leveraged or mitigated. 4) Given the changing nature of risks impacting firms, firms must continue to use a variety of techniques like best case/worse case and extreme scenario analyses, which can effectively evaluate these risks by including proprietary models and simulations. 5) As firms move from viewing risk management as a defensive strategy to a more fully integrated approach, senior executives and the Board must develop mechanisms to set the scope of risk-taking that are consistent with this latter view of risk management. These findings afford some great insights and will enable us to investigate and address challenges in the practice of risk management so to advance the adoption of leading integrated risk management strategies. During the last decade, the rise of social media, which accelerated with the introduction of smartphone technology, has provided unprecedented opportunities for organizations to build influence, their brand, and reputations. The organic nature of social media allows enterprises to reach millions of consumers and influencers in ways they never could before. Yet, this opportunity does not come without risks. During a recent Risk Institute Executive Education session on Social Media and Risk Management, Prof. Lanier Holt of The Ohio State University’s School of Communication stressed the effect of social media in today’s media climate is that “Perception IS the Realty.” Customers, bloggers and others can use social media to quickly turn on a firm/brand, leaving in shambles a distant memory of its once vibrant self. Thus, it is not surprising that, in the same session, Bill Deakin, Executive Director, North American Consumer Products, EY, noted that recent surveys consistently report that executives view social media as one of the leading risks facing their organizations. An organization’s brand is a collaborative effort of most, if not all, areas of the firm – from marketing and sales to finance and operations. As such, the benefits and risks of social media rarely impact just one area of an organization. So, as Deakin stressed, a social media strategy must be an organization-wide responsibility. empowering consumers to comment anywhere and anytime on an organization and what it is doing and companies to provide real-time feedback to customers letting them know they are being heard. providing organizations a venue to tell stories in engaging ways to a wider audience, helping to build reputation, customer affinity and sales. allowing companies to analyze in real-time online conversations to assess the effectiveness of the firm’s products or initiatives. providing firms a way to provide the information in real time to manage risk by getting ahead of negative events, not allowing others to tell their stories for them. The power of social media is something that was unimaginable even 10 years ago. But, today it can empower an entrepreneurial startup with the same brand-building abilities as the world’s largest and most well-established company. When approached with an enterprise risk management perspective, organizations can create value by balancing the power of social media engagement with its associated risks. 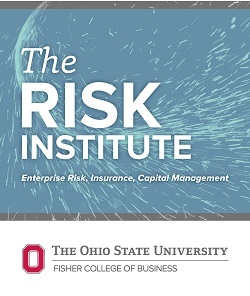 To find out more about The Risk Institute’s perspective on enterprise risk management, visit fisher.osu.edu/risk. To find out more about The Risk Institute’s Executive Education Risk Series, or to register for the upcoming session on Demand Uncertainty on April 30, 2015, visit our webpage.